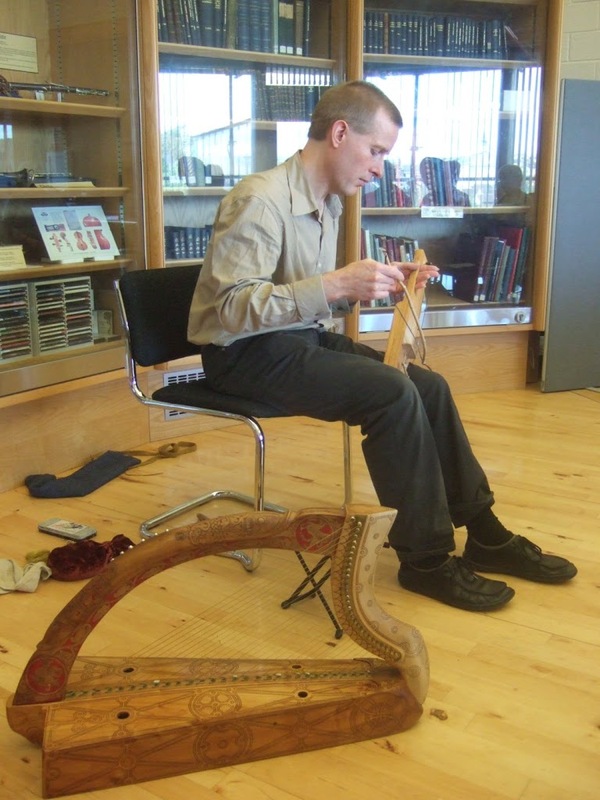 On Friday 24th April is the first big public outing of the replica Queen Mary harp after it has been seriously reworked inside by Natalie Surina of Ériú Harps. 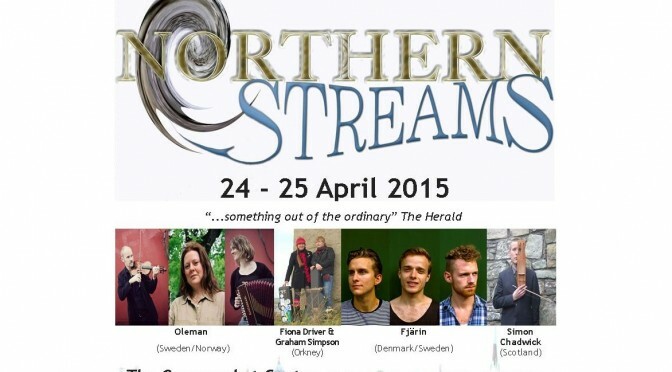 I am going to present my “Margaret 1281” programme of storytelling, song, harp music and bowed-lyre tunes, as part of the annual Northern Streams festival in Edinburgh. For my concert last month in the Wighton Centre, Dundee, I tried to find tunes from as many different countries as I could. 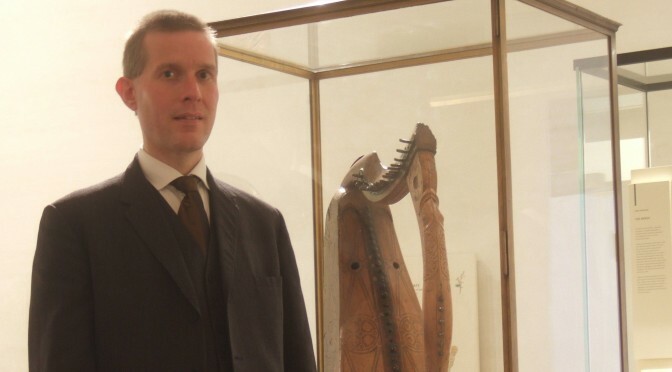 I was particularly keen to get an Inuit tune, because of the bowed zither traditions from Baffin Island and Northern Labrador. 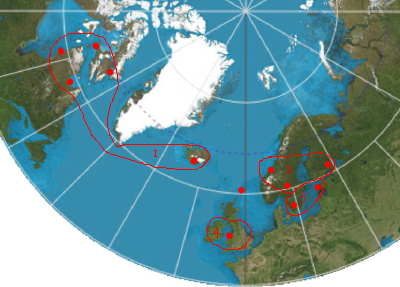 In the middle I have put Shetland, because no-one really knows what the form of the Shetland gue was. I like to think of it as being part of group 2, but some scholars have argued quite strongly that it should be in group 1. I managed to get hold of the article by E. Y. Arima and M. Einarsson, Whence and Where the Eskimo Fiddle? published in the journal “Folk”, vol 18 1976. 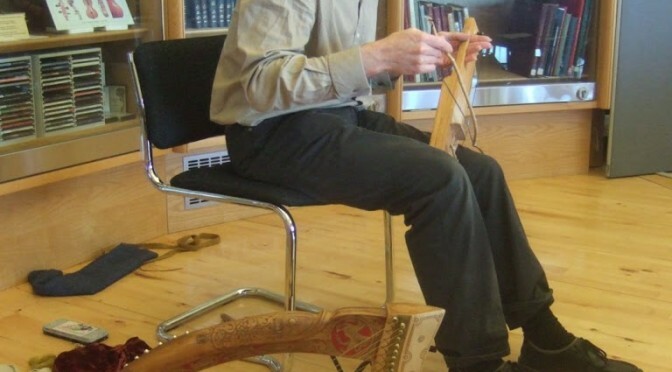 This has some very useful information about the Inuit bowed zithers including photos of a number of museum examples and alsoa photo of a soapstone carving of one being played. 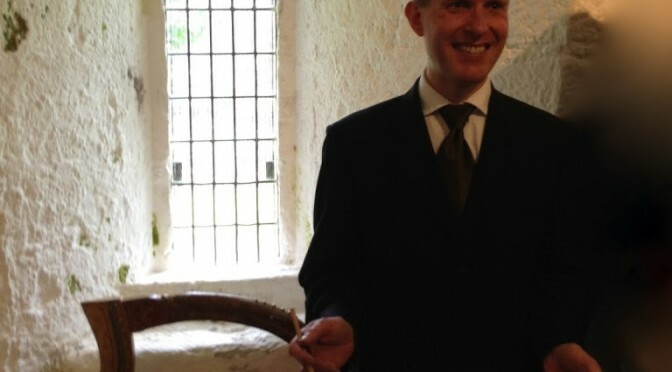 However it is not really clear to me exactly how these instruments were played and fingered. 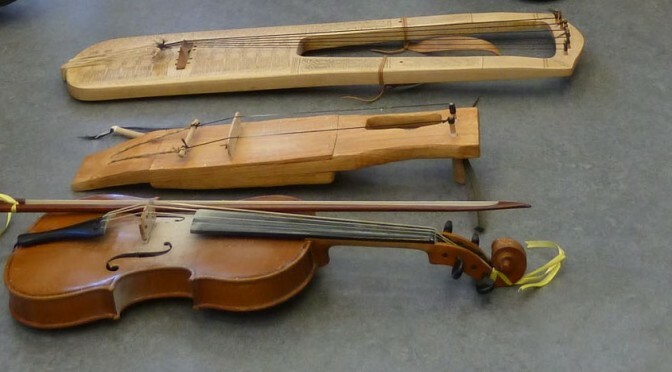 The article also refers to an archive recording from the 1950s, after the tradition had died out and come to an end, when an Inuit person from Northern Labrador made a couple of instruments and played them. I am currently in negotiations to try and get hold of a copy of this recording to listen to it. 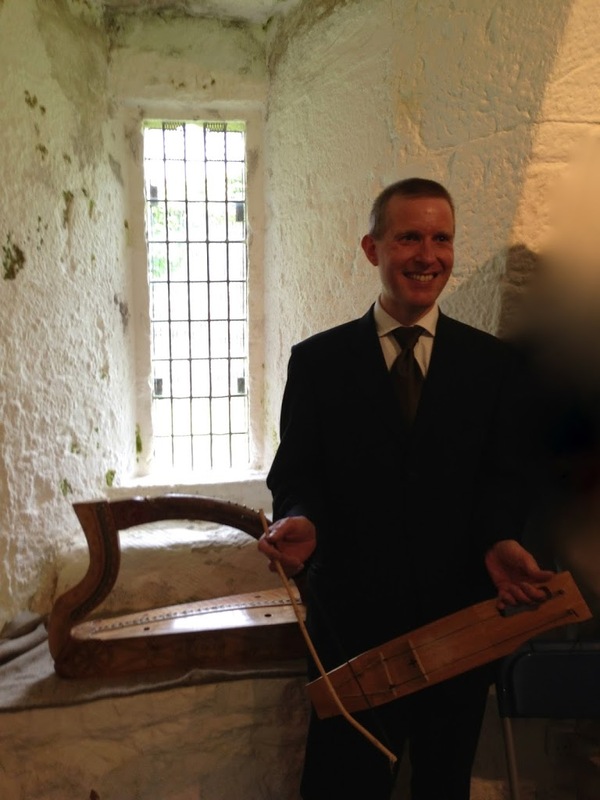 Yesterday’s lunchtime concert with the bowed lyre went really well. The audience was about mid-sized for these events. Everyone shuffled nervously when they saw the instrument lying out beforehand! I think the most difficult tune was the Inuit shamanic chant, since it was most alien to my understanding of the ancient European traditions. It was interesting that all of the other music clearly “fitted together” well with similar structures and sonorities, while this one stood out as really foreign. However I think everyone enjoyed the participative and experimental aspects of this one tune! Towards the end I realised that I had prepared too much material so I missed out a couple of the tunes I had planned to play – and still overran. And then was asked by the host, Sheena Wellington, to play an encore. 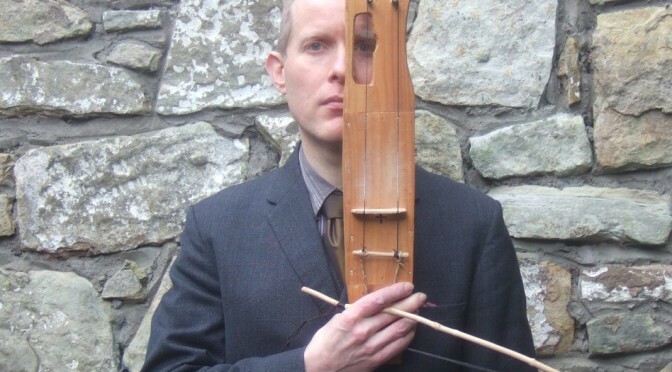 So I count that as a great success and now I feel I would have no problem putting together a 45 minute or one-hour show based on this idea, a tour of the bowed-harp or bowed-lyre traditions of the old North of Europe. Here’s a photo of me playing the jouhikko in my concert at lunchtime today in the Wighton Centre.